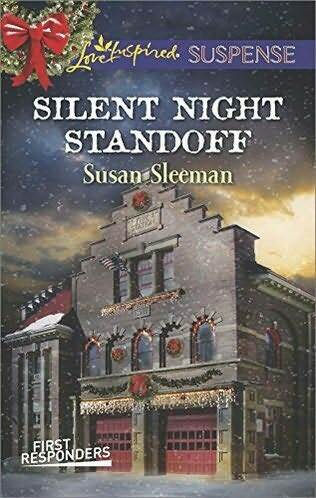 I am a fan of romantic suspense and Susan Sleeman’s books are some of my favorites. A Silent Night Standoff is no exception. This story kept me guessing to the end, which is truly a feat, since I almost always figure these things out about half-way through. When armed robbers strike her bank, hostage negotiator Skyler Brennan’s life is on the line. Rescue comes from the last person she thought she could count on—the ex-boyfriend who chose his job over their relationship. FBI agent Logan Hunter knows how much is resting on this case. The promotion of his dreams…and the safety of the woman he’s never been able to forget. But when an unexpected twist in the case pulls Logan in two separate directions, he’ll have to make an impossible choice. Will he manage to have it all by Christmas—a career and love—or will he lose them both? The gun came out of nowhere. A hard kick of adrenaline stole Skyler’s breath. She raised her hands and backed away, the urge to reach for her own weapon nearly overpowering her good sense. “Everyone on the floor now!” the bank robber screamed. Skinny with spiked hair, his eyes were glassy, his body jittery. Fidgety. He was coming down from some drug. Not a good thing. Drugs and money were the top causes of violence, and he had both of them spurring him on. Making him unpredictable. Add a loaded weapon and Skyler had a dangerous combination staring her down. She needed to tread lightly. Forget about the gun in her purse for now. Do as he commanded. She pulled in a few cleansing breaths and helped a pregnant woman settle on the cold tile floor of the Portland Community Bank, then took a seat with the other terrified customers. She’d messed up. Big-time. Missed seeing the team dubbed by the media as a modern-day Bonnie and Clyde, but she hadn’t been paying attention. She wasn’t on duty. She’d just stopped in to cash a check for her upcoming Christmas party for homeless families. A worthy cause, for sure, but she was a deputy sheriff and a hostage negotiator on the county’s First Response Squad, for crying out loud. She was trained to read people, and she’d failed Cop 101. Her training officer’s voice rang in her head. Always know your surroundings. Always be alert and ready for anything. Serve and protect the innocent. Protect, Skyler! How can you protect if you don’t know what’s going on? Focus. Now. Before it’s too late and someone gets hurt. She watched Bonnie, a thin woman with dead eyes, calmly herd three customers from the teller windows to sit nearby. She shot across the room to retrieve the balding bank manager. That left three tellers standing behind the counter, all gaping at Clyde, his gun trained on them. “You don’t know that.” Panic took her voice high. “No talking!” Clyde spun on them and locked gazes with Skyler. For the first time since they’d drawn their weapons, Sky-ler doubted her abilities. Doubted she’d be able to end this situation without anyone getting hurt. Not without her team. On duty, she’d have a sniper at the ready. Medical support waiting. A trained supervisor calling the shots as he did for all crisis situations in the county. “I’ve got to get out of here.” Faith struggled to stand. Skyler stilled her as Bonnie shot across the room toward them. “Easy,” Skyler said, the word slipping out before she thought better of it. Bonnie pawed her hair from her eyes and glared in reply. Skyler should be afraid, but her anger fired hotter, blotting out her fear. Faith didn’t deserve to be frightened like this. The terror would live with her—with everyone in the room—for the rest of their lives. Skyler needed to do everything she could to minimize their trauma. That meant holding her anger in check so she was ready to act if she could do so safely. “Man the door, Bonnie,” Clyde said, his focus returning to the tellers. Bonnie kept narrowed eyes fixed on Faith until she reached the door and turned her back. Perfect. Just the distraction Skyler needed. She shifted her body for privacy, opened the message screen on her phone and typed, 211 bank 23rd & Glisan. Bonnie and Clyde. 2 Glock 9mm. She sent the message to squad leader, Jake Marsh, then dialed his number and lowered her in-call volume to zero to keep the robbers from hearing Jake answer. When she saw that the call had connected and knew he was on the line, she switched to speaker so he could listen in. She palmed her phone—microphone facing out—and turned back to wait for her team to arrive. “Put all of your cash in the bag.” Clyde unfolded a worn duffel bag and tossed it onto the counter in front of the first teller. Skyler sat quietly, praying her squad arrived soon to set up their command center and get everyone out before the situation turned ugly. Slowly. Painfully. A minute feeling like an hour. The soothing strains of “Silent Night” played from the speakers, but nothing was calm or bright in this room. Just the opposite. Skyler was aware of every breath she took. Of the perspiration sliding down her back. Of her purse lying against her leg, the gun inside. The change in Faith’s breathing and the face of an elderly man wearing a tattered suit reddening like a ripe tomato. Why did they have to have a heat wave in December of all times? The seventy-plus afternoon temps made it seem more like an Oregon summer. Mix that with the fear pulsing around them and the space felt like a muggy, breath-stealing jungle. A situation that could cause panic. “Not happening.” He didn’t even bother to look at the group. Bonnie spun. “Another word out of you, and I’m coming over there to shut you up,” she shouted, her face tightening in anger. Skyler could see Bonnie was starting to lose it, so Skyler clamped her mouth shut while continuing to fan Faith. When a police siren sounded nearby, Skyler held her breath, fearing that her worst nightmare was coming true. It was protocol not to run the siren and take cover out of view when responding to a robbery. The procedure kept robbers from panicking and causing a deadly hostage situation. Please let it be a simple traffic stop. Not a rookie flying high with adrenaline and failing to follow procedures. The whoop, whoop, whoop of the siren wound closer, an eerie warning of problems to come. The wail stopped just outside. No. The officer was responding to the robbery. Clyde jerked his arm free and jumped onto the counter. He shoved the gun into the nearest teller’s forehead. Without a siren, Bonnie and Clyde would’ve left the bank, giving waiting officers the chance to arrest them. Now, combine their panic with drugs that were known to cause paranoid psychosis, and Skyler faced a full-blown crisis. “No.” Her terrified voice cut to Skyler’s core. He shook his head, his eyes cutting around the space as if searching for a way out. “How about you?” Clyde waved his gun at the last teller. The female tellers started sobbing. The male’s face paled. Skyler couldn’t let them pay for her actions. “Stop!” She came to her feet. Clyde whipped around. He pointed his weapon at Sky-ler’s heart, but she didn’t back away. “It was me. I texted a cop friend of mine,” she said, purposely not mentioning she, too, was a deputy. She held her breath as she waited for him to fire. He jumped from the counter and marched across the room. She was hyperaware of every second passing while he advanced on her. His baggy jeans whispering. The thump, thump, thump of his shoes. His body odor and foul breath. She resisted gagging on the cold steel and handed over her phone. The acrid smell of burned carbon filled her nostrils. He’d fired this gun before. Maybe it was the same gun used to kill two hostages in California. Please, God, don’t let his finger slip. He turned his attention to the phone and woke up the screen. She knew once he discovered her ongoing call to Jake, he’d squeeze the trigger, ending her life. In all her negotiations, she’d never been this close to death. Sweat rolled down her back and beaded above her lip. Yes, Clyde, run. Now. Fast. Down the street and into the arms of my team. He stared at Skyler’s phone and didn’t respond. Please, God, don’t let this be the end. A sick smile spread across Clyde’s thin lips, revealing teeth rotted from a meth addiction and confirming her suspicions of drug use. She braced herself for his finger curling on the metal. The report of gunfire. The weapon jerking in her mouth. Death taking hold. Adrenaline spurring him on, FBI Agent Logan Hunter approached the police barricade outside the bank robbery in progress. He’d caught the perfect break. He’d just gotten into town, when the call came in about Bonnie and Clyde. His team was en route to the standoff, but as the case agent tasked with bringing in the robbers, Logan was in the right place at a critical moment. True, he still had to convince the local authorities to let him in on the action, but that was a piece of cake. He paused to take in the scene and plan his approach. He’d been briefed on the unique First Response Squad—a division of the county sheriff’s department—on the way over. He spotted the man who was clearly their commander, Lieutenant Jake Marsh, standing outside their large white command truck. He was talking to the team’s sniper, who was unzipping a rifle case. Both were dressed in the team uniform of black tactical pants and polo shirts, but the sniper added a tactical vest and loaded it with extra ammo. Marsh, feet planted wide, stood calmly, his focus intense. The sniper was jumpy, his foot tapping on the concrete. As Logan climbed over the barricade, the sniper took off across the street to get into position for a kill shot should it become necessary. Marsh stepped to another team member settling a small orange case on a small robot. Likely a negotiator—an additional negotiator, since Logan had heard that another one was already in the building. The man didn’t rush, but moved with purpose and double-checked each step. Obviously not his first hostage standoff. The case held a phone connected by a long cable to the command truck and would provide direct communications to the robbers. If the team could get them to take the phone. That was a big if as they wouldn’t need a throw phone if the robbers had answered the bank phone or kept in touch on the inside negotiator’s cell. As Logan approached, he searched for the bomb expert and the EMT who rounded out the team of six. He found neither and assumed they were in the truck. He headed straight for Marsh. Marsh looked up, his eyes narrowing. “Bank robbery.” Logan knew his response was lame, but the bureau’s jurisdiction over bank robberies was his only way into the action. He hoped Marsh played nice and let him participate in the negotiations. The lieutenant’s rebuff should have angered Logan. Instead, he respected the guy for standing up to an agent. But Logan had no intention of sitting back. Of letting the locals do their thing when his future promotion at the FBI depended on him arresting Bonnie and Clyde. A promotion that should win him the first hint of respect in his demanding father’s eyes. Schooling himself not to get mad, Logan followed Marsh to the mobile command center. The negotiator climbed the stairs after Marsh and Logan trailed them onboard the state-of-the-art truck. Marsh snapped on a headset, then clamped a hand on the shoulder of a scrawny young man who sat behind a computer watching a live feed of the bank’s exterior from the truck’s rooftop camera. “Where’re we at, Darryl?” Marsh asked. As Marsh stared over Darryl’s shoulder, Logan quickly assessed the team. The negotiator had stopped next to a control station for deploying robots, where a muscle-bound guy sat tapping his foot. The bombs guy, Logan suspected. A woman he assumed was the EMT checked supplies in the medical bay that formed the back of the truck. Everyone was somber and intense. The sense of fear for their team member in the hands of two unpredictable and armed robbers hung in the air, and the mood darkened even more. “We’re in,” Darryl announced, drawing everyone’s attention. “Let me dial in on the action.” He clicked a few keys. Suddenly the screens lit with live footage from the bank’s interior. Logan focused on the monitor. Clyde flashed onto the screen, holding the negotiator at gunpoint. Logan’s mouth went dry, and his pulse skipped a beat. “Skyler? The negotiator inside is Skyler Brennan?” His strangled cry brought all eyes toward him. Know her? He’d dated her for a year and had nearly let himself forget his goals and fall in love with her. Logan didn’t know how to answer, so he said nothing. “Darcie?” Marsh asked. “He dated Skyler before she joined the squad. Chose his career over her and moved away for the job. Guess he’s back now.” Darcie’s acerbic tone conveyed what she thought of him. She kept watching him, so he turned his attention back to the screen. As he focused on Skyler’s brave face, his pulse beat triple time. She looked the same. Short, curvy with red hair. She had a sweet girl-next-door face devoid of any makeup. Her hair was currently secured in two small pigtails that gave her a pixie look. Vulnerable. The word shot into his brain as a chill iced him over. She’d been training for a position like this when he’d met her, but as a woman in a largely male field, and with only three years as a detective under her belt, he never really thought she’d get the job. Or maybe the real issue was he’d avoided thinking about the danger a negotiator’s job involved to keep his fears at bay. Disclaimer: I received a free copy of this book for my honest review. If you would like to be entered for a chance to win please leave a comment. Rules: The drawing is open to USA mailing addresses only. Drawing ends November 20, 2014. Void where prohibited by law. Sounds fantastic! What a story! I would really love a chance to win this book! Wow… I am in love with this story already – thank you for the opportunity to win! I would love you read this book, just the little bite that I’ve read was really good. Sounds like an exciting read. I’d love to have the book, or the entire bundle! Wow!! Sounds like a book I am eager to read. Oh, that was a “hooking” excerpt. Totally want a chance at a win. Thanks. Pulls you in and makes you want to read more. I’d love to win! Reading some of it makes you want more. This book sounds like a real winner to me! Definitely sounds like my favorite type of story! I dearly love suspense/mystery/with romance in the mix. I can tell that Susan Sleeman knows how to write a gripping tale! I would love to discover a new-to-me suspense author. Christmas stories are always among my favorites :) sounds like a fun book. I always like a good Christmas romance!